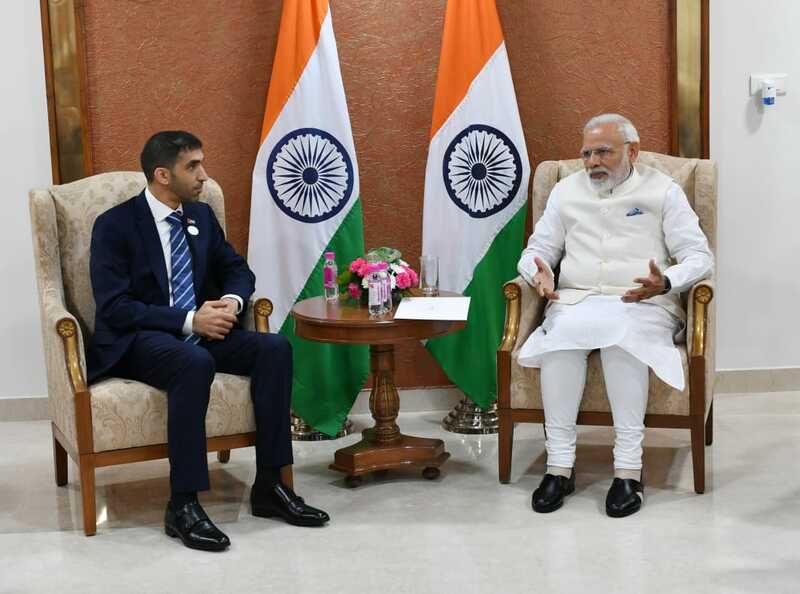 GANDHINAGAR, India, 19th January, 2019 (WAM) -- Narendra Modi, Prime Minister of the Republic of India, today met with Dr. Thani bin Ahmed Al Zeyoudi, Minister of Climate Change and Environment, and Dr. Ahmed Al Banna, UAE Ambassador to India. They explored prospects for further cooperation between the UAE and India, building on the strong existing ties between the two countries, and discussed ways to facilitate cross-pollination of successful experiences. 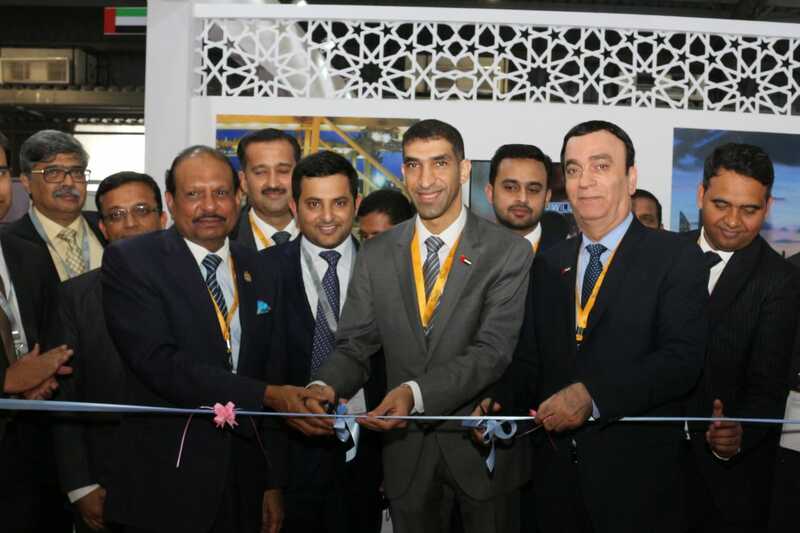 In his keynote address at the Summit’s inauguration ceremony, Dr. Al Zeyoudi said, "The UAE and India enjoy long-standing and cordial relations across multiple fronts. Backed by the political and people-to-people interactions, bilateral trade continued to soar despite global headwinds. Valued at US$180 million per annum in the 1970s, the balance of trade volume between India and the UAE is now worth $57 billion, making India the largest trading partner of the UAE, while the UAE is India’s third largest trading partner – after China and the US. 2018 saw a flurry of investments by UAE companies in India, and the UAE-India relationship has entered a vibrant growth phase with bilateral trade on track to exceed $100 billion by 2020." He added, "As we look back at our achievements, they energise us and give us the confidence that a lot more can be done together. We aspire to see the trajectory of the UAE-India ties continue to soar, entering new areas of cooperation and dynamism." Addressing UAE and Indian businesspeople at the event, he said, "The UAE has become a global hub for entrepreneurship and investment, thanks to the significant efforts made by the federal government and local departments to create a world class, business-friendly environment, enabling the country to vie with the best." He added, "According to the World Bank’s Doing Business Report 2019, the UAE moved up 10 spots to the 11th place globally, out of 190 economies. The report also states that the UAE is the best-performing country in the Middle East and North Africa region. The rise in the UAE’s rank is a result of a package of reforms in the past year that boosted the country’s economic competitiveness." Elaborating on foreign direct investments, Al Zeyoudi said, "UAE investments in India are valued at an estimated $8 billion, of which $5.33 billion is in the form of foreign direct investment, while the remaining is portfolio investment, making the UAE the 10th biggest investor in India in terms of foreign direct investment. The UAE’s investments in India span multiple sectors, most notably the services sector, power, construction development, air transport, food, and hotels and tourism." He added, "Several prominent private and public sector Indian companies and banks operate in the UAE. In addition, major Indian companies have been able to obtain a significant number of contracts in the UAE. Data released by the UAE Federal Competitiveness and Statistics Authority indicates that the total foreign direct investment from India to the UAE amounted to over $6.5 billion."